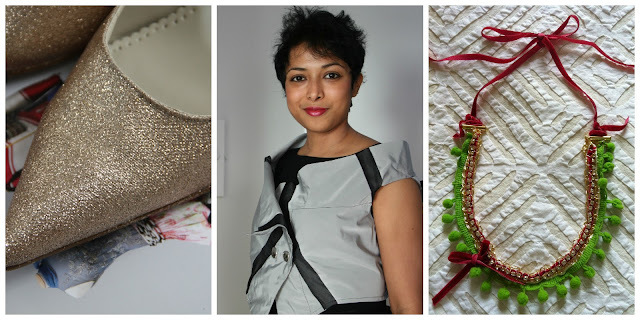 A Quirky Lifestyle: Shortlisted for the Company Style Blogger Awards 2013: Best Thrifty Blog and Best Crafting Blog!! Shortlisted for the Company Style Blogger Awards 2013: Best Thrifty Blog and Best Crafting Blog!! 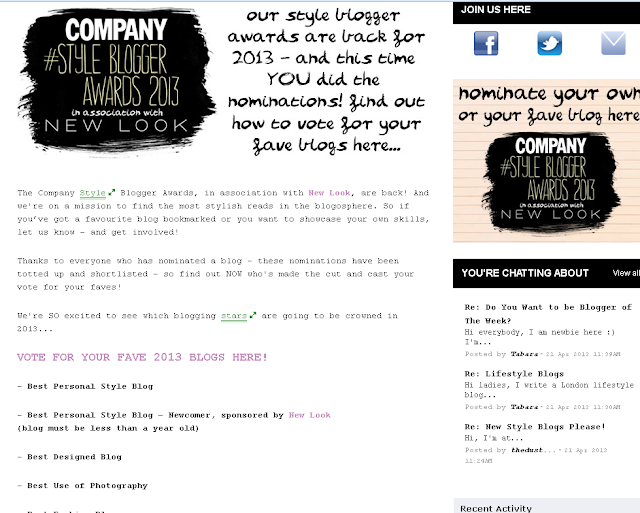 A big thank you to all those who nominated me for the Company Style Blogger Awards!! I was not expecting to go far but I’ve actually been shortlisted in two categories! I’m bouncing with joy right now just to make the cut. The next step is an intense round of voting followed by the final awards-I think! I’m still waiting for some details from the magazine. I really need your help and votes to make it and win. The voting is quick and should not take more than five minutes. You don’t need to register and you can opt out of emails. You can only vote once. Here is a quick step by step how-to on the voting. 1. 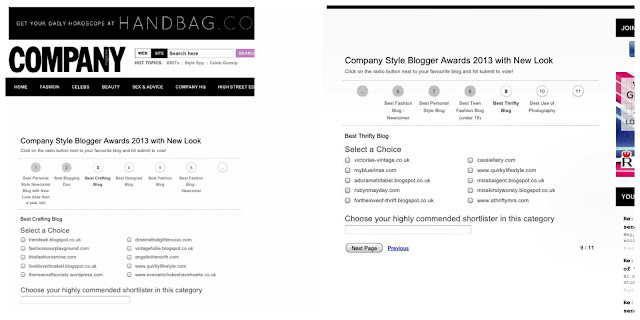 Click on http://www.company.co.uk/magazine-hq/stylebloggerawards2013. You will see this page. 3. Click next till you get to the Best Crafting Blog and select www.quirkylifestyle.com. Carry on clicking next till you get to the Best Thrifty Blog category and select www.quirkylifestyle.com. Here is a snapshot of the two pages with my blog. 4. Continue to click next till you get to the last page where you can choose to add your email address, choose to opt in or out of emails and then just click SUBMIT! Well congratulations for being shortlisted!! I have voted for you in both categories. Though they should have made the voting a lit bit easier I suppose. But it gave me the links to so many great hand-picked blogs, that I did not know about and would love to discover. Thanks! Aww thank you Swati :) I agree, the voting could have been better. Plus, it would have been great if the blogs were linked easily too.